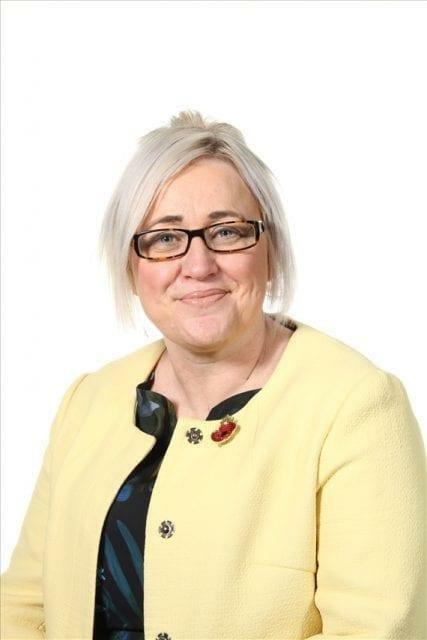 Hello my name is Mrs Donna O’Toole, can I take this opportunity to welcome you to Wylde Green Primary’s website. I have the best job in the world- being the Head Teacher at such a wonderful school! We have a beautiful school building. The original school was built in 1840. The original school which catered for 50 boys, was re-built in the early 1900’s, as the local school population expanded. Since then sympathetic new additions to create high quality learning and playing areas have been added. However, no matter where your child is taught, they will be accommodated in bright, clean, well maintained spaces. Almost all classrooms have air-conditioning and ‘state of the art’ I.T. facilities to maximise the learning opportunities. We are a two form entry, with 420 children in our school, there are children on waiting lists for all year groups. Children enter school in Reception class and leave in Year 6. Over the last few years the cut off distance for new children entering Reception classes, who don’t have siblings has been shrinking. We have a diverse intake of children: both ethnically and socially. However, whatever our children’s background we are all part of the very happy Wylde Green team. Everyone gets on very well in our school. In our most recent Ofsted, June 2015 we were graded as good in all areas. You can find our report on our website under the ‘useful information’ tab. Our staff are extremely dedicated and hard-working and are always striving to demonstrate our school values. Teaching staff across the school, produce purposeful and fun learning experiences for all children linked to our curriculum- take a look at our curriculum pages to find out what children learn about in each year group. Our children get many opportunities to take part in activities within the wider curriculum – in the classroom, within the school grounds and beyond. All year groups have additional teachers for Maths and English teaching, leading to smaller groups, with more focused learning to the children’s ability. Standards at our school are high and children of all abilities achieve well, this is because we have high expectations of ourselves and our children, in turn they want to do their best. Our behaviour within classes and around school is excellent, we only expect the best for all children and our school behaviour policy promotes this very effectively. We are fortunate because our parents and carers are supportive and have aspirations for their children. Our Governors work voluntarily to make Wylde Green a better place through providing challenge and support to the school’s leadership team. The PTFA members also give their time to raise additional funds for our children and create fun events for the children and our families! Most importantly we are blessed with truly amazing children who want to learn, behave and be good British citizens. At Wylde Green Primary School, we have a relentless drive for improvement and an unwavering commitment to providing high quality educational opportunities for children from Reception to Year 6. We believe that all children can achieve and we recognise that we provide the roots in their education so they can blossom on their lifelong journey of learning. We aim to do this by providing a supportive and caring environment, rooted in high quality teaching and learning, grounded by impeccable conduct. I hope you get a flavour of our school by reading though our website but the best way to do this is to come and see us!